Offering you a complete choice of products which include autofy antenna for cars and autofy spinning and playing fidget spinner. 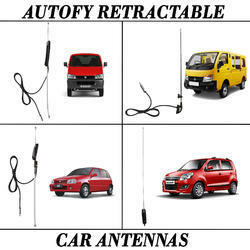 Autofy Car Antenna is a must have car accessory for radio and music lovers. Available at a very reasonable price, this car antenna is offers great looks coupled with high-end performance. The spectacular chrome finish on the mast commits an uncompromised styling quotient hence making your ride more stylish. The mast is made of stainless steel which renders added strength and durability to the equipment so you can enjoy your car radio for years to come. The stainless steel has also been known to receive radio signals with unmatched precision. The network receptors have been prearranged to receive radio signals from all directions and heights. The mast features retractable sections that enable it to be adjusted to receive desired strength of frequency depending on the surrounding environment and space. The chrome coating has further been finished with powder topping that makes the mast anti-corrosive giving it longer life both in terms of performance as well as looks. The mast has been made flexible to counter breakage owing to off-road driving or during car wash at automatic stations. There is probably nothing more you can ask for from a car antenna. 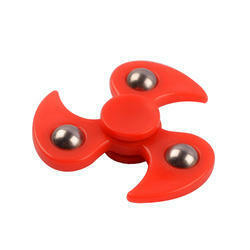 Autofy Spinner Fidgets is the best way to relax and regain your productive energy at the vicinity of your office desk. Not only they keep your hands busy but have also been proven to be functional in countering stress and anxiety due to work load as they make up a good medium to dump your excessive energy hence leaving your mind refreshed and reviving your ability to concentrate that is often lost during continuous work. Additional utilities of these fidgets including them being an effective way in treating Attention Deficit Hyperactivity Disorder (ADHD) and enhancing concentration among students and sportspersons. This handy accessory also comes handy in getting rid of negative pastimes and bad habits by keeping your mind occupied when there is nothing else to do. Autofy Spinner Fidget is as high in design and build as it is on utility. They feature a ceramic ball bearing in the centre that facilitates rotation for the much longer duration with minimal exertion owing to its antifriction properties. There are also three weights on the each of the edges of the spinner that have been crafted with precision to be of equal weight so as to maintain a uniform distribution of centrifugal force that otherwise might get in the way of smooth spin. A number of cool tricks can be performed after few attempts of practice;thanks to the concave centre caps that provide better grip letting you entertain yourself while simultaneously destressing and rebuilding your concentration without disturbing anyone at your workplace. The genuine spinner fidgets from Autofy are available in a number of colours and shapes options that you can choose from depending on your preference and utility.